This simple tutorial will show you how to convert audio CDs to mp3 in Ubuntu. I have installed Sound Juicer, but it didn’t work with mp3 format. This could be an alternative if you got same problem with Sound Juicer. 1. Launch Ubuntu Software Center and install lame the mp3 encoding library. 2. 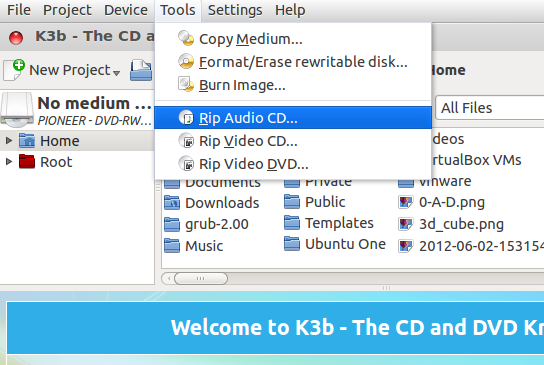 Install K3B if need, K3B is the KDE CD burning program, also available in Ubuntu Software Center. No user responded in " How to Rip/Convert Audio CD to mp3 in Ubuntu 12.04/11.10 "